On second anniversary of the collapse of Rana Plaza, a disaster that killed 1,138 garment workers and injured thousands more in Bangladesh, one question appears to be on the mind of commentators, journalists, politicians and activists alike: Two years on, what has really changed? The answer is relatively simple: not that much. Workers are still earning poverty wages, union organisers are still being threatened and attacked, and workers and their families are still are awaiting full compensation. Of course, to suggest nothing at changed at all would not be entirely true. The efforts carried out by the Accord of Fire and Building Safety have transformed the process of building inspections in Bangladesh, ensuring that almost 2,000 factories have been checked by inspectors who are properly qualified to assess how safe these workplaces really are. In turn, the existence of the Accord has really raised the bar on safety inspections overall in Bangladesh, with other initiatives, including the Alliance for Bangladesh Worker Safety and the government itself having to improve their own programs—at least in the technical process and in the practice of ensuring these reports are made publicly available. This isn’t an insignificant achievement in an industry that had turned a blind eye to the existence of death trap factories for over a decade. As groundbreaking as this is—although it’s shocking that the concept of using qualified people to assess building safety is actually a groundbreaking idea in the 21st century—is it really enough to be regarded as the beginning of truly systematic change? While some advances have been made, we must not oversell them as the transformative change that we really need. The Accord was designed not simply as an inspection program, but has, at its heart, a set of principles that challenge some of the root causes of safety issues: transparency, the right for workers to refuse dangerous work and challenge health and safety breaches without fear of reprisal, and a change in the buying practices of the big brands whose business models have been driving a rapid race to the bottom. While some advances have been made on transparency, progress on improving worker empowerment, the development of joint buyer and factory owner financing agreements, the provision of support for workers who would inevitably lose their jobs when unsafe factories had to close, and the stabilizing of orders within company supply chains has hardly begun. To an extent, there is a valid argument that the inspections were the most urgent part of the Accord and that the focus on getting this done has necessarily been the priority. After all, the Accord was forced to take on the large-scale task of inspection—without any existing infrastructure or prior capacity—under a blaze of public scrutiny. This has been an uphill challenge and one that can only be commended. Still, the lack of progress on other core issues is a cause of concern, and, in our desire for a good news story about an industry where these are rare, we must not oversell this as the transformative change that we really need. At this point, the Accord has delivered the information required by brands who want to ensure that they aren’t buying from the next Rana Plaza. This means that, for those brands who treat consider corporate social responsibility as primarily an exercise in risk management, the Accord has delivered the information that wanted it to. This done, it’s now possible for such brands to try to delay any meaningful attempts to deliver on the more systematic changes required—changes which actually go to the heart of their own business practices. The Accord does include clauses that oblige signatory brands to address crucial issues such as improving the capacity of workers to speak out on safety issues and report and refuse dangerous work, the financing of safety improvements, the establishment of positive incentives to promote safe workplaces, changes to buying practices that undermine investment in safe factories, and the responsibility to support improvements across all tiers of factories deemed to be high risk. Despite the very public expressions of grief and regret, there’s still an unwillingness by brands to take responsibility for the consequences of past failures. These are more complex areas of work that inspections alone and will require shifts in the current business model that has proved so profitable to multinational brands. The question now is whether, two years on from the disaster, there’s still the political will to really move forward on these issues. Ensuring their implementation will require ongoing public scrutiny of the Accord brands and continued outside pressure to ensure the Accord is carried out in its entirety. 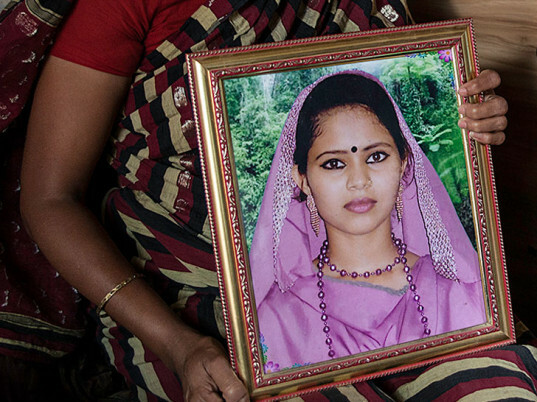 While this work remains outstanding, it’s far too soon to evaluate if Rana Plaza has led to a real and fundamental change to the industry, but the signs to date are not overly encouraging. The failure of the industry to collectively find a mere $30 million to provide basic compensation to its victims is one clear example of how, despite the very public expressions of grief and regret at the time, there’s still an unwillingness to take responsibility for the consequences of past failures. The fact that there’s no sign that the quality of inspections in other countries with similar building safety problems has improved also suggests the limitations of any industry-wide change. There’s a lot of work left to do. What is needed now is for us not to get disheartened, nor to accept a limited version of change out of our desire to feel Rana Plaza really meant something. If nothing else, Rana Plaza has taught us that voluntary initiatives will never bring the change we need. This would be a disservice to the memory of those and all the other thousands of workers that are dying to make our clothes. We must continue to push the industry to go further, to continue to ask the industry difficult questions, to refuse to buy into the glossy yet meaningless sustainability reports and initiatives that more and more brands are producing in an effort to regain consumer trust in their ethics. Campaigning, of course, will not be enough. We also need to demand that our governments start putting in place better regulation that will us to hold brands to account when rights are being abused in their supply chains. 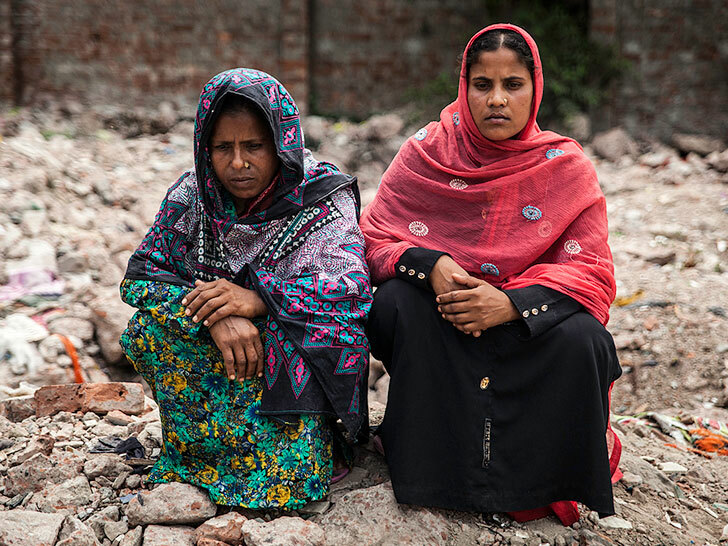 We owe it to those who continue the fight in workplaces around the world to not give in to “Rana Plaza fatigue,” but to keep pushing and shouting until all the promises made—by governments, factory owners and brands alike—are fully delivered. Only then can we begin to talk abut real change.